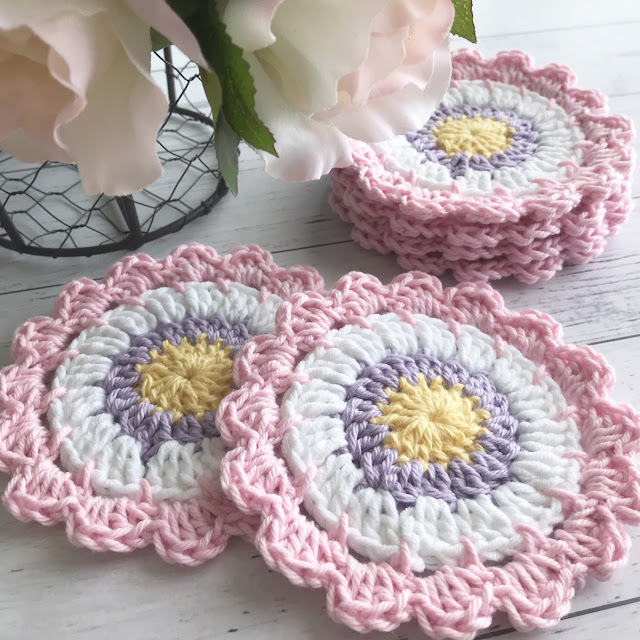 I usually limit custom orders to smaller items such as coasters, mandala's etc. because I don't like to keep people waiting and I can squeeze them in between other projects. I love brainstorming and selecting yarn colours with the customer, and I think this lady picked a winning combination. Aren't they gorgeous? I also love hearing about where my work is going or who its being made for. 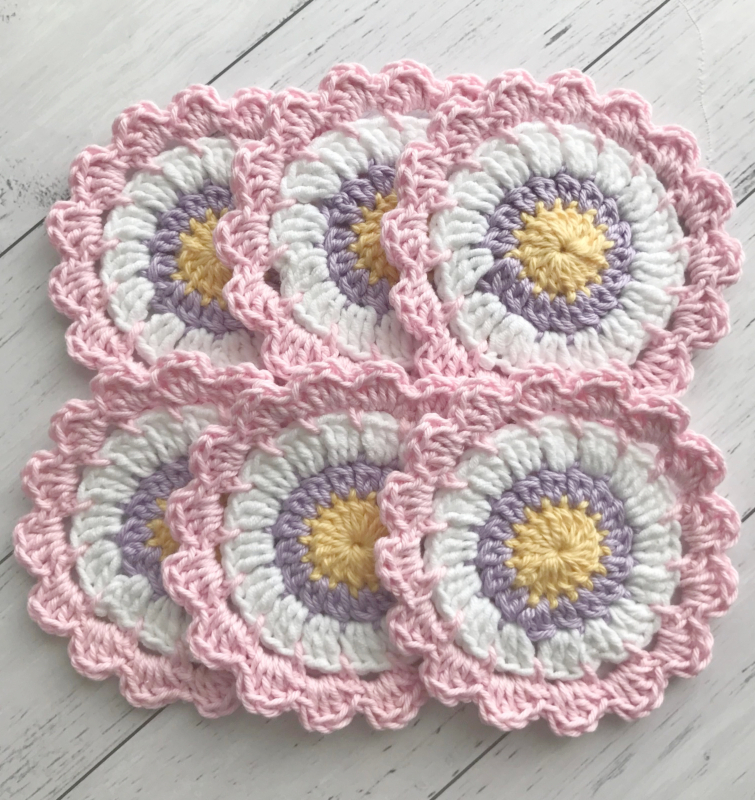 I crocheted a baby blanket for a lady earlier in the year and she sent it to her adopted son and daughter in law in Pakistan. They had just welcomed a daughter to their family and lived surrounded by violence and poverty, so she wanted to bring them some joy. Its nice knowing I played a small part in making that happen. 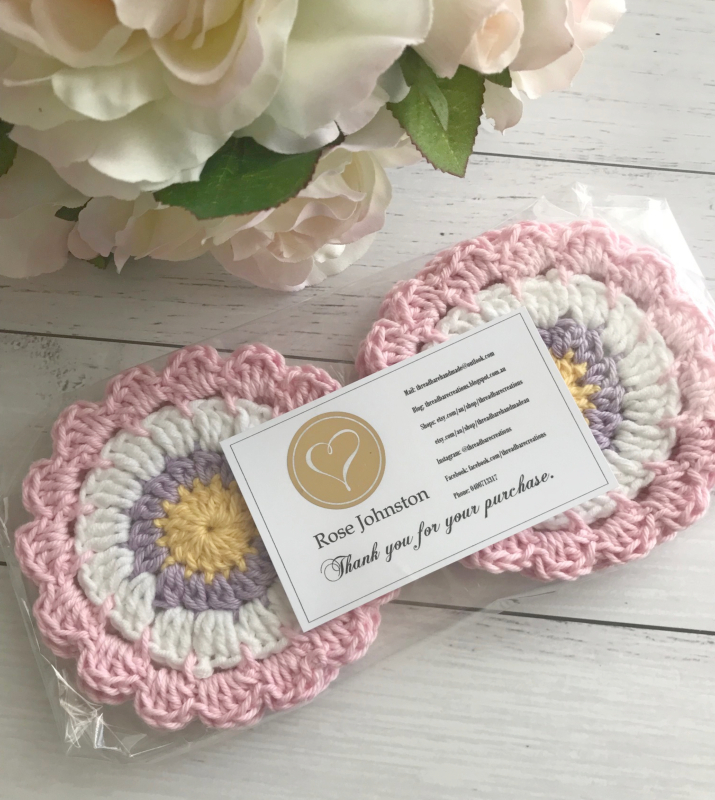 I'm also open to trying new patterns so if you see something that you'd love crocheted let me know, I may be able to help you out (depending on the pattern, my deadlines and you know...life). 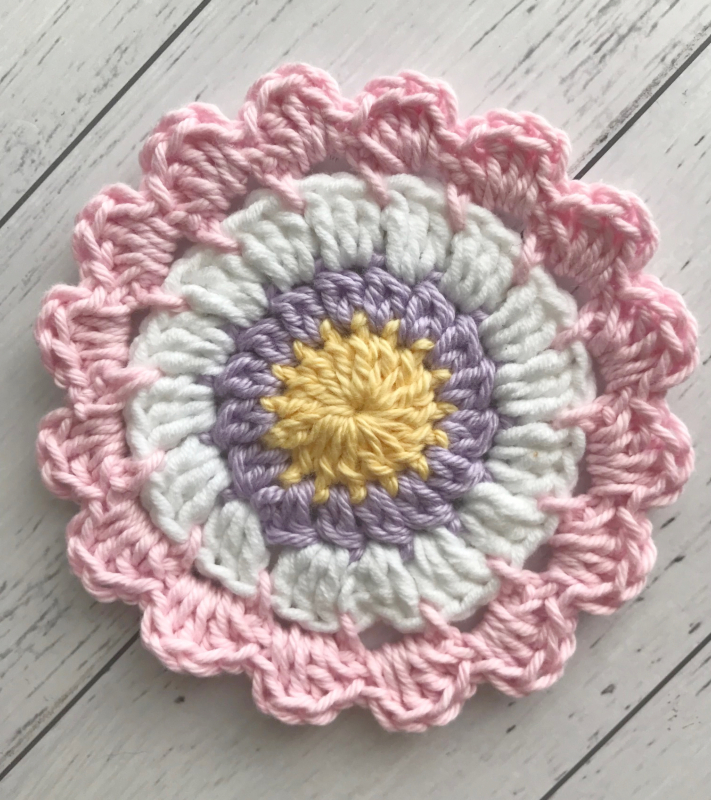 I talked about Granny Square Day last year HERE but its as simple as crocheting a granny square, uploading it to Instagram using #grannysquareday2018 and become part of a huge virtual blanket. Its a fun idea and there's so many beautiful squares to drool over. attic24.typepad.com does lots of crochet work, and loves to make mandalas (England). 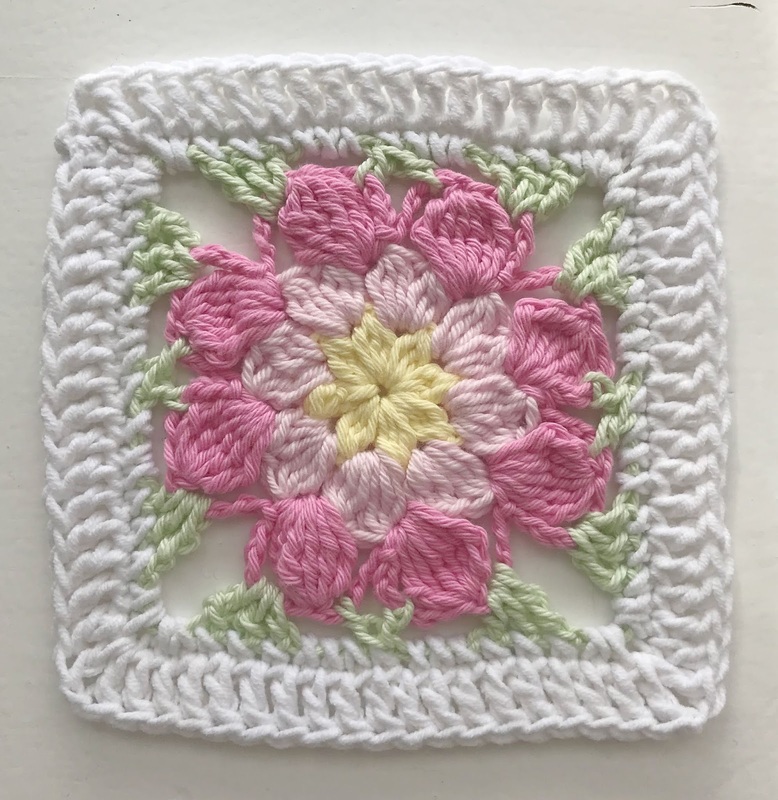 I love the little coasters, but the rose crochet square is so delicate I love it more! I enjoyed coming over from juliekquilts.blogspot.com. Voting Has Opened + A Sneak Peek!